Located right in front of our front desk and an easy walk to the restaurant. Live entertainment Thursday to Sunday, see website for details. Spectacular Waterfront Dining at Vessel at Kona Kai Resort!! 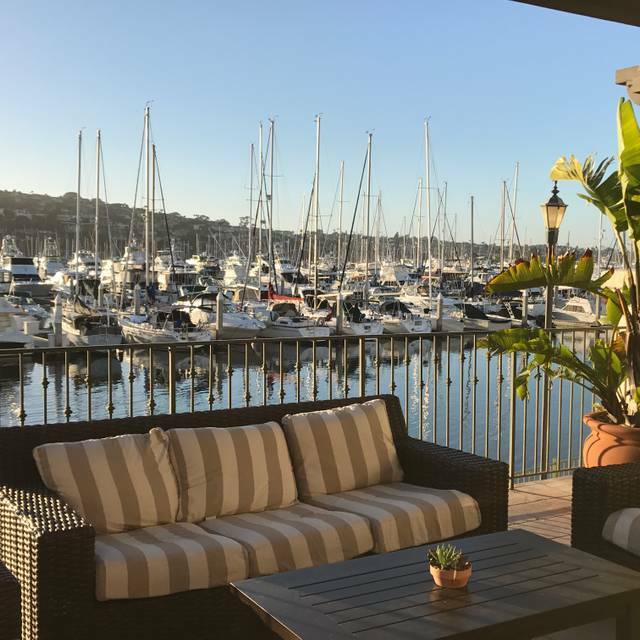 Offering fine cuisine on the very tip of San Diego's beautiful Shelter Island in California, the Kona Kai Dining Room and Lounge at Vessel at Kona Kai Resort features casual elegance by the beach and a magnificent view overlooking the Kona Kai Marina. Their Easter brunch was $100 per person without bottomless mimosas. We felt this was extremely overpriced for a buffet line. The food was good, but not worth it at $100 for a self serve plate. Great Happy hour! 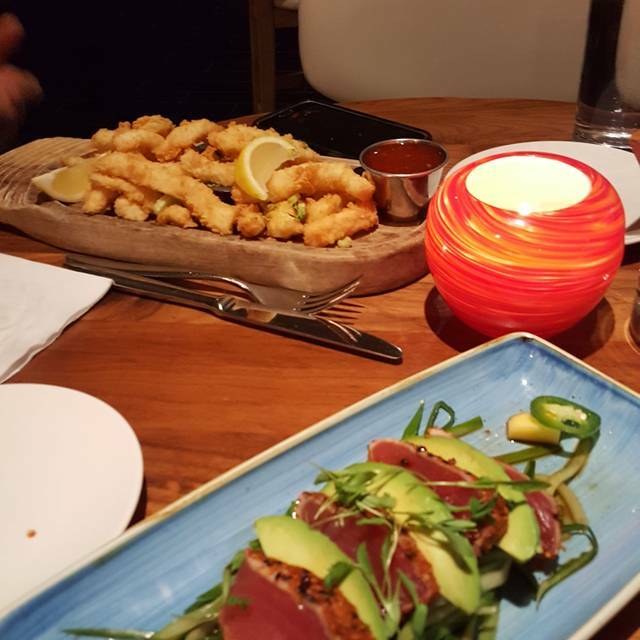 Yummy small plates and great value for Monet during Happy Hour! Great atmosphere. Food was very good. What ruined the overall experience was the service. Very, very slow for food and drinks. Waited 15 minutes for a server to wait on us after being seated. Ordered 2 drinks and waited another 15 minutes for those...and it wasn't very busy! We sat outside, in the evening, over looking the water and all the boats. It was so gorgeous! I'd go back just for that alone. Walking thru the bar to get outside, there were very cozy areas for seating, with comfortable looking chairs/couches. Lighting was cozy as well. The food was pretty great too. Had no idea there was a nice little cover band playing for the night of our reservation, but they were a great addition to a really tastey meal and made the time in between the waitress disappearing for long periods of time better. The ambiance was a relaxing beach vibe and the view of the docked boats and bonfire pits added to the evening. Our waitress was really delightful and pleasant, I think she was just overworked with so many tables at once plus I think they were understaffed overall. I believe a cook brought out our soup around 20 minutes after ordering and we just asked for more water and bread and he said sure and neither he nor the items ever appeared. We had the sea bass which was amazing and artichoke ravioli which was good, and England clam cowder and a wedge for starters. 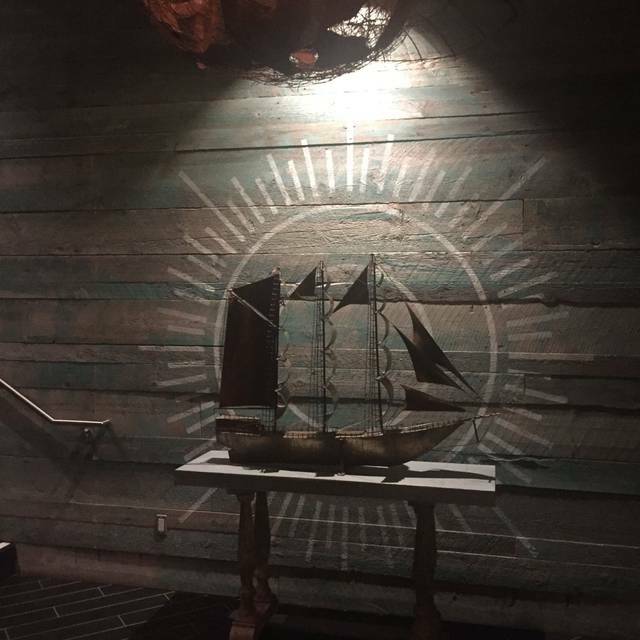 All really tastey items, the food and ambiance will bring us back for sure and hopefully the wait staff will be better supported. Loved our waiter Peter. He was on top of it. Very helpful and attentive. Delicious Noble salad with salmon!! Love it! Awesome Birthday celebration for a good friend! Great music. Fast, efficient service. Will be recommending to friends! Over priced for the quality of food. Extremely noisy. Service was good. Overall the cost didn’t match the quality. 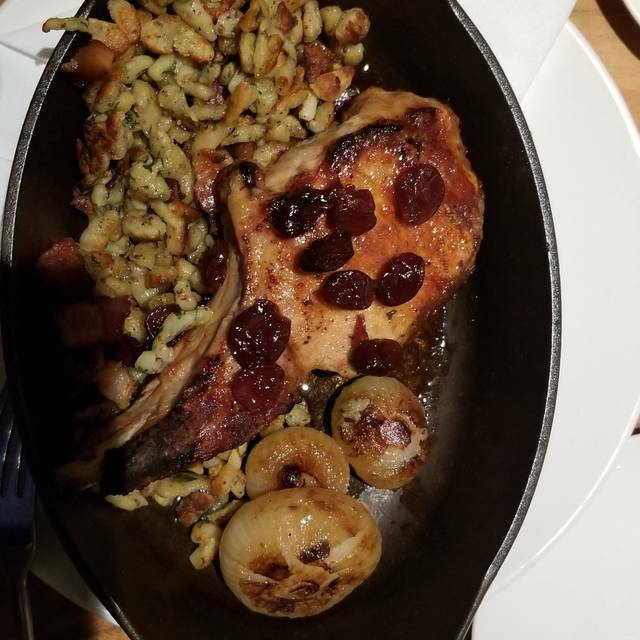 This gem of a place is definitely a place not to be missed, and the pork chop is out of this world. Oh and don't forget the clam chowder, cheese board, sliders, calamari, lobster mac & cheese, lobster Benedict, pulled pork hash and eggs and so much more. It really shouldn't be missed! 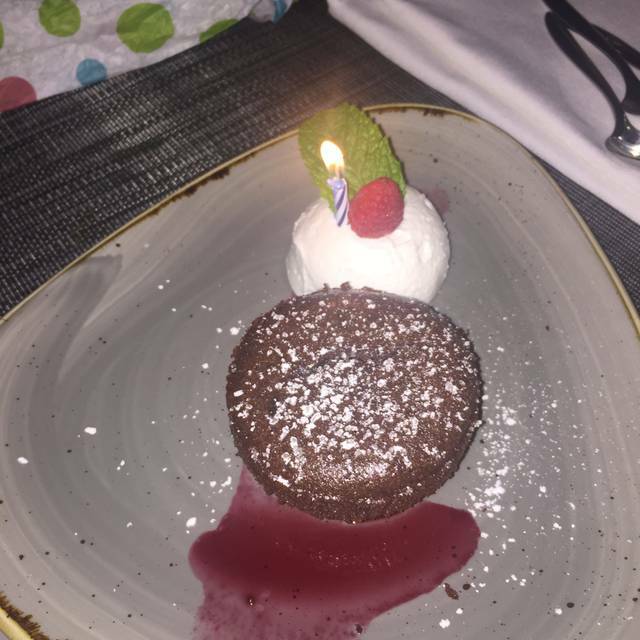 Excellent service, exquisite food, and overall just an amazing place to go. Service was poor the day we had brunch. It was multiple staff not just one so it was noticeable. Food, location and ambiance are great! Other ok but replies too much on fussy presentations. Beautiful but needs updating, looks a little dated for such a nice location. Food took forever, served cold, service was awful, left before we even got our dinner they took so long and never checked back on us...it was terrible! We had been to Vessel before but when it was a little warmer, so this time we opted to sit inside. There is a nice floor to ceiling glass window that you can see the marina through, which is nice. We ordered the Seabass which was very tasty, but a somewhat small portion and the Artichoke Ravioli which was good but again, somewhat small. I ordered a whiskey on the rocks which was an insane $16 for a pre-measured pour. We also checked in through Yelp and got a free glass of wine (which the waiter forgot to remove from the check until we noticed it). Overall the service was okay, the prices are a little too high in my opinion but the food is solid. I'm not in the biggest rush to return after this past experience. They had a live band which got pretty rowdy as an event let out and roughly 40 people (most of them appearing to be 25-35 years old) came in and totally took over the place. The music before was great for the space but once they came in, the ambiance was definitely ruined and had me wanting to leave as quiet date night turned into something other than what we expected. Loved the location. 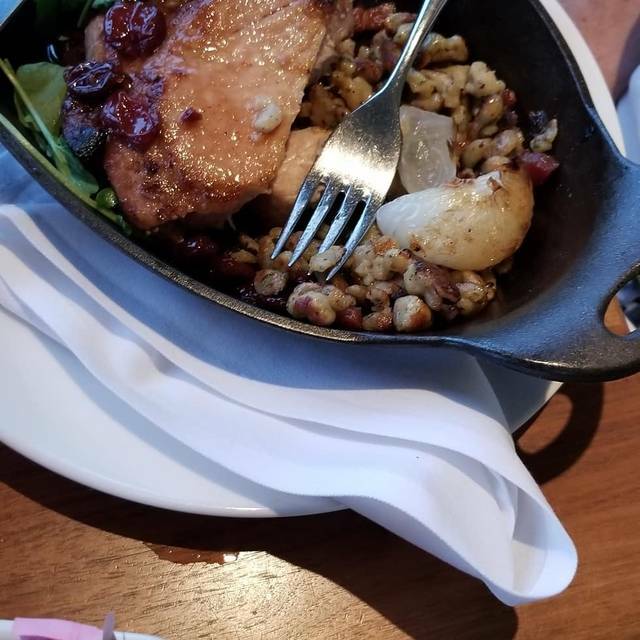 The food was good and the service was excellent! Hands down best food & ambience ! A classy but comfy place w overlooking tbe marina, and away from Downtown jungle. 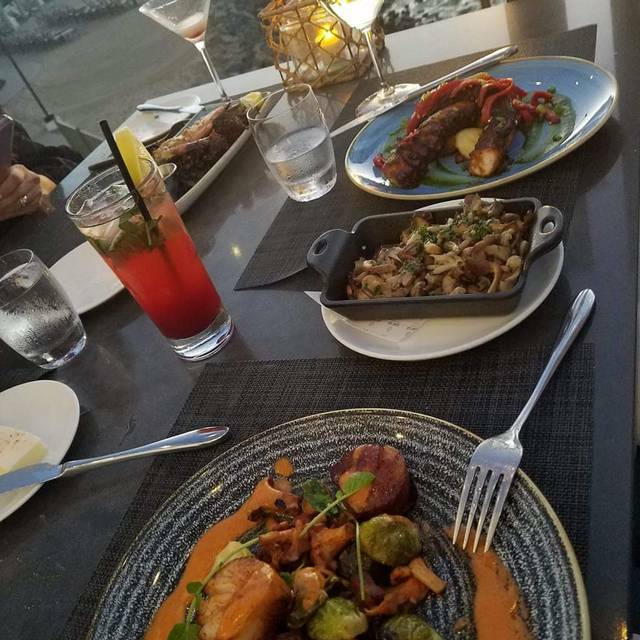 Octopus, sea bass w porcini, lobster Benedict - a must. Great food at reasonable prices. Both dinner and brunch/breakfast were very good quality. 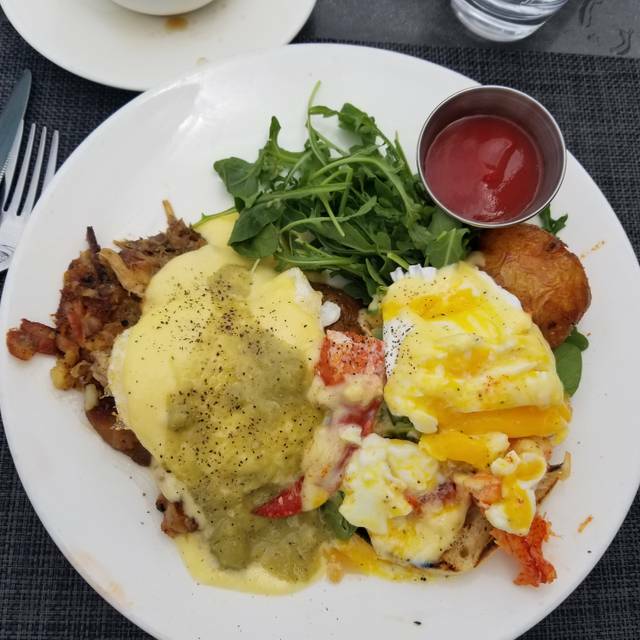 Lobster Benedict was amazing...and those cool potatoes they serve are to die for. Can't beat the short rib at dinner and the sea bass. Save room for the Key Lime pie too. Friendly easy going staff. Casual place in an awesome setting. The food and service was outstanding. The setting was also amazing. The music was too loud for the setting. When eating a nice dinner it's preferable to be able to converse with friends during the meal. The food was excellent and the drinks were very good as well. It is a beautiful restaurant with a great harbor view. Noise level is a bit high. Live music was very good, though it added to overall noise level. Music made the night. We ate the Thanksgiving buffet then returned the following night for food off the menu. Enjoyed the Thanksgiving Buffet. A nice selection of food and sides. Our 4th year. Our server Matt was great. We love the location very relaxing. See you next year! Food was hit and miss. Some items were very good others just so/so. Food is pricey for the quality. Happy hour drinks are watered dowm. 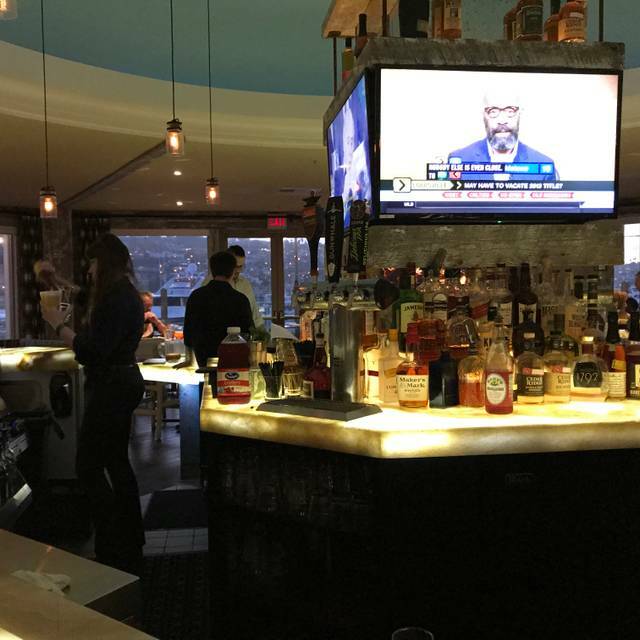 We loved this place...great food, drinks, views of the harbor, and a really nice and attentive staff! Valet for parking and wait service was excellent. The restaurant wasn’t very busy during the lunch hour which made the noise level conducive to conversation. I had the turkey club sandwich which was tasty and the French fries were excellent. It was a large portion requiring a take home box. The next day the sandwich was just as good. We want to go back for Happy Hour. Their menu looked like a good value. I would recommend it to others. Always amazing!!! The poem chop is incredible and the asparagus ravioli was delicious... dessert was house made lemon ice cream and housemade blueberry ice cream... so yummy!!! Had plans to go to neighborhood Humphreys for 7:30 show. We had reservations and were seated right away. Host and our waitress (Ally) were on it! We were in for a quick bite and shared a couple of items and Ally made a nice presentation with our meals. Well drink cost was high for cocktail. Best clam chowder I have ever had (remember taste is relative). My husband and I got two bowls. Note: I am from New England as well!! Beef slider was great and the apple salad. I would definitely come back to try everything else!